Here at Cream Tea Review, we occasionally get asked if we would like to review a ‘cream tea by post’ from one of the growing number of companies now providing such a service. 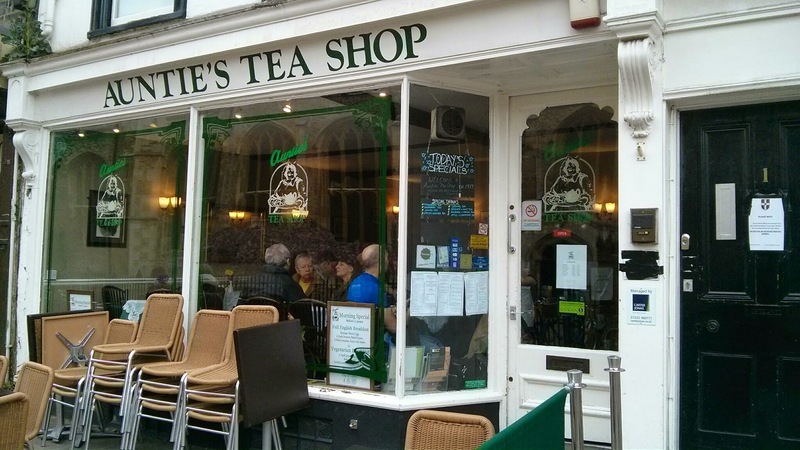 Our teashop reviews are always based on anonymous visits and are accounts of our experience on the day. However, it’s obviously not quite the same when we are sent a cream tea in the post, but we still endeavour to retain our impartiality and report on our findings (both good and bad). The website is clear, attractive and informative and, as you would expect from a Shopify-powered site, responsive for mobile devices and very easy to navigate. Devon Heaven Hampers offer a range of food gift hampers sourcing quality, local Devon produce as well as Gift Vouchers for Afternoon and Cream teas at a number of hotels and teashops in the county. We ordered our “Cream Tea by Post – Fruit Scones” hamper £22.50 (with free postage) in no time at all and received our next-day delivery confirmation from the courier company. The parcel arrived less than 24 hours later. We could have chosen plain scones, but opted for the sultana variety. The four medium-sized scones, produced by The Devon Scone Company arrived perfectly intact. A cross between a traditional scone and Devon split, the slightly bready scones were ideally suited for delivery purposes, as they were unlikely to crumble inside a mis-handled parcel. The sultanas were deliciously plump and the scones perfectly soft and fresh. Before we’d encountered cream teas in the post, we always imagined the clotted cream would be impossible to send satisfactorily and would arrive in a horrid, rancid mess, but this is definitely not the case and it’s actually a surprisingly robust product. Devon Heaven Hampers send their delicious, golden Langage Farm clotted cream, frozen and placed in a thermal, insulated packet along with two small, gel ice packs. The result was absolutely great and the 227g carton provided a very generous dollop of cream for all eight open scone halves. Like the scones, the Strawberry preserve was supplied by The Devon Scone Company in a generous 220g jar. We really liked this high quality, fruit-laden sweet jam. Keeping up the Devon sourcing, the Classic Breakfast tea was supplied in the form of two tea bags from Devonshire Tea, based in Axminster. They provided a flavoursome and enjoyable brew. The cream tea hamper came well packed in a sturdy postal box. The attractive wicker basket came cellophane wrapped and tied with coloured raffia ribbon. The contents all arrived in perfect condition. All we needed to add was hot water (and milk) to turn the Devon Heaven Hamper Cream Tea into a lovely treat enjoyed in the Cream Tea Review HQ garden.